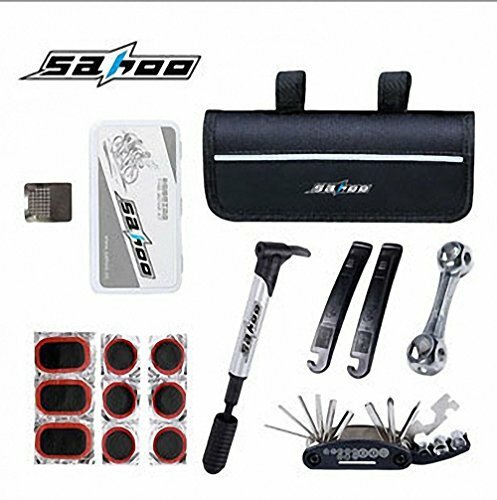 Choose bicycle repair tool set to accompany you for long-distance riding. Everything you need in case of emergency, with this you tool you can easily pump your tyre or repair your tyre. All things are packed in a small kit bag to avoid the small tools' lost. Applicable scope: outdoor sports, sports bicycle , gift tools, home essential, camping, etc. HIMOO service: your satisfaction is our constant pursuit, we look forward to providing you with a perfect shopping experience, this product within 30 days, no reason to support a full refund, one year replacement, lifetime warranty. At the same time, you have any questions we will actively solve for you. If you have any questions about this product by HIMOO, contact us by completing and submitting the form below. If you are looking for a specif part number, please include it with your message.